Suspiria (2018) - Blu-ray Review - ReDVDit! Suspiria is a 2018 supernatural horror film that was directed by Luca Guadagnino with a screenplay written by David Kajganich, inspired by the 1977 Italian film of the same name directed by Dario Argento. It stars Dakota Johnson as an American woman who enrolls at a prestigious dance academy in 1977 Berlin that is run by a coven of witches. Tilda Swinton co-stars in three roles, including the company’s lead choreographer as well as a male psychotherapist who becomes embroiled with the academy. Mia Goth and Chloe Grace Moretz appear in supporting roles as students of the academy, while Angela Winkler, Renee Soutendijk, Ingrid Caven, and Sylvie Testud (among others) portray the academy’s matrons. Jessica Harper, the star of the original film, also has a cameo role. A remake of Suspiria was first announced in 2008 after Guadagnino had acquired the option from the original film’s writers, Argento and Daria Nicolodi. Guadagnino offered the project to director David Gordon Green, but it was canceled due to financing conflicts. In September 2015, Guadagnino confirmed his plans to direct, with the film described as an “homage” to the 1977 film rather than a direct remake. A new screenplay was drafted by Kajganich, who had written Guadagnino’s previous project, A Bigger Splash. 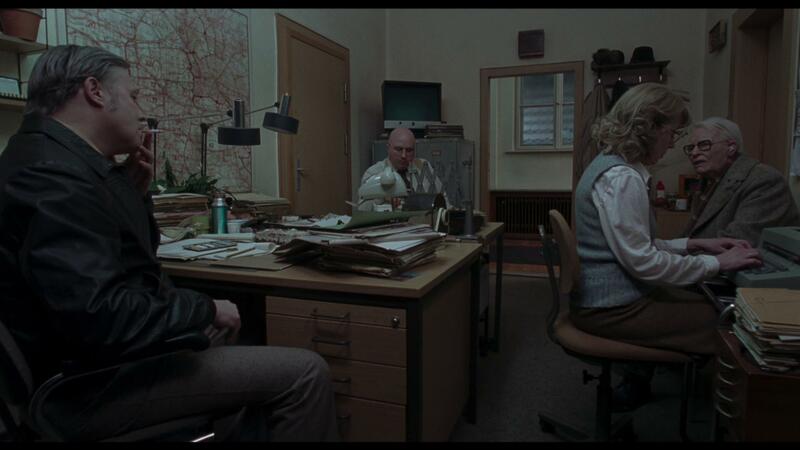 Kajganich set the film during the German Autumn of 1977 to explore themes of generational guilt in Germany during the Cold War. Additionally, it focuses on themes of motherhood, evil, and the dynamics of matriarchies. 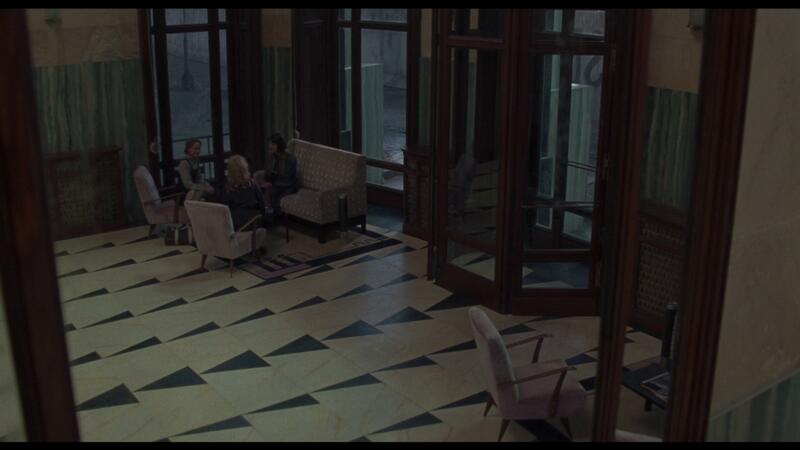 Unlike the original film, which uses exaggerated colors, Guadagnino conceived Suspiria as visually “winterish” and bleak, absent of primary colors. The film incorporates stylized dance sequences that were choreographed by Damien Jalet, which form part of its representation of witchcraft. Principal photography took place in late 2016 and early 2017 in Varese and Berlin. The score was composed by Radiohead singer Thom Yorke, who took inspiration from the krautrock created around the time of the film’s setting. Suspiria premiered at the 75th Venice International Film Festival on September 1, 2018. Amazon Studios gave it a limited release in Los Angeles and New York on October 26, 2018, where it grossed over $180,000 in its opening weekend, marking the highest screen-average box office launch of the year. The film received Halloween screenings in select US cities before opening wide on November 2, 2018. Critical response to the film has been notably polarized, with some praising its visual elements and acting, while others have deemed its historical-political setting unnecessary or arbitrary in relation to its other themes. The film was released in Italy on January 1, 2019. 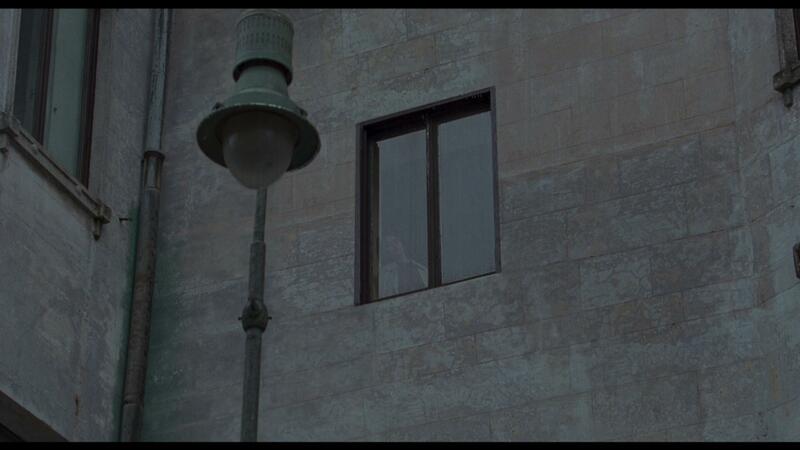 Suspiria (2018) is a movie that touted itself as not only a remake, but a re-envisioning from Argento’s original idea. Touching on some areas that pay homage to the original film, this particular release is easy enough to be considered too long and too complicated, with a significant jump in the number of improved elements. But, with the challenge that comes with the re-envisioning of the basic storyline, the production crew should receive some recognition for stepping up to the challenge. This movie is pretty stylistic, and offers some really beautiful performances, but many may be distracted by some of the artistic elements; but; all in all, those with an open mind and are curious about remakes might find it semi-entertaining. Made available on Blu-ray from Lionsgate Films, the presentation is done in a 1.85:1 aspect ratio. Those that are familiar with Argento’s psychedelic original may have to lessen their expectations with this new release of Suspiria. Placing more emphasis on the neutral tones, the movie provides a nice level of saturation and some pretty significant detail levels, even in your lesser lighting levels. With the finer details, the camera shots that were used help amplify them and make them known, and allows for a considerably organic experience that still allows for everything to be more of an artistic presentation, just like the original. Bundled with a Dolby Atmos audio track, this new release of Suspiria gives viewers an absolutely breathtaking experience that emphasizes the smallest of elements of the film. With optimal placement of the vocals, there’s enough clarity with the background vocals and chatter that help ensure that the main characters speech go understood while adding a completely separate level to the immersion. The dialogue is spoken cleanly, ensuring that everybody is able to be heard and understood with out any kind of adjustment to the volume levels, and the transitions from channel to channel were effortless, ultimately allowing for this to be a completely immersive audio experience. 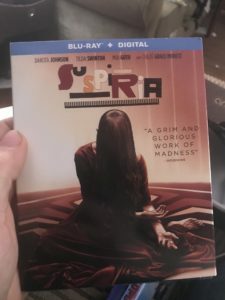 The Blu-ray release of Suspiria (2018) comes packaged in your standard single-disc amaray case. Within the case is the standard Blu-ray disc of the film, the disc featuring absolutely no artwork for the film outside of the standard release text and solid colored background. There are no DVD copies of the movie included with the release; but, there is a digital copy redemption pamphlet as well as a slipcover that’s been included during the original pressing of the release that features the same artwork that’s been provided on the case. The Secret Language of Dance – Choreographer Damien Jalet and his film’s overt exploitation of the story’s dance milieu that the original had only hinted at. The Transformations of Suspiria – A feature piece that looks at some of the makeup and other special effects that were used in the movie. Overall, I can say that the experience that was had with this re-imagining of Suspiria was one that I can appreciate having the opportunity to have. Personally, not being a big fan of Argento’s film, I was excited at the chance to take a look at the storyline in a new way, and this release certainly does a good job at offering a new way to look at things. The presentation of both the audio and video of this release were exceptional and really provided a clean look into the imagination of Guadagnino and did a great job at making the subtle elements more known. The special features on this release could have had a lot more work and attention paid to them as they are considerably bland and really don’t offer much in terms of a look into the storyline or the work that went into the movie. If you’re considering this release for your collection, I’d recommend grabbing it if you are a fan of Argento’s work, or even his original piece. Suspiria will be available on Blu-ray beginning on January 29.